Routine testing has proven to save lives. Please help by signing this petition, clicking the link above you will be directed to sign. Change can only happen if we make it happen! Thank you for your help and support. City of Montreal’s response: “Borough Coun. Marie Potvin said there are plans underway to check all lampposts in the neighbourhood in the spring”. She also explains in a TV interview that the “work was not done correctly”. Yes, sadly, since “the work was not done correctly” a dog was killed, her family is now suffering a heartbreaking and tragic loss while another dog is injured, and the city believes it’s okay to wait till spring to inspect all other lampposts? Immediately following Sam’s death, Seattle City Light tested all the metal streetlights in its service area and found that 158 of them gave off dangerous levels of electricity. SCL now conducts annual routine contact voltage testing. If immediate action is not taken to inspect for other possible contact voltage issues, it may be too late. A child, a human, another beloved pet….Ms. Potvin, how will you then sleep at night? “Here in Montreal, one other incident was reported to the press, in February 2009. A woman’s 3-year-old beagle was electrocuted while walking along an icy sidewalk. Hydro-Québec spokesperson Jean-Philippe Rousseau at the time dismissed the possibility of electrocution as a cause, telling the Globe and Mail the utility had too many fail-safe layers of concrete, insulation and ground lines. At any rate, lampposts are the city’s responsibility, he said, not Hydro-Québec’s”. It is abundantly clear to me that Mr. Rousseau is in complete and total denial of such a problem existing. He says, it’s the “first time he’s heard about this in Montreal”. Does he really believe that Montreal is immune to contact voltage? As stated in the article, another dog was electrocuted in 2009, but Mr. Rousseau didn’t believe the cause was from contact voltage, but instead said, “the utility had too many fail-safe layers of concrete, insulation and ground lines”. What?? Does he even know and understand contact voltage–when, why, where, and how it occurs? Perhaps he can be educated on this serious issue by his neighbor Toronto and learn from Toronto Hydro. “But even if it’s not dangerous for a person, it was taken very seriously and when we saw there was a problem, even an isolated problem, we decided to inspect all the lampposts to make sure it never happened again. Contact voltage is electricity that may be present on the surface of outdoor structures like streetlighting equipment, street signs and other energized fixtures, posing a serious shock hazard. “Officials with the Outremont borough confirmed that there was faulty electrical wiring in the lamppost, and that it has been patched up. Borough Coun. Marie Potvin said there are plans underway to check all lampposts in the neighbourhood in the spring”. “Duct tape” may explain their patch up “repair” and waiting till spring to check the area for more possible problems? Wow, how expedient of them! Only two dogs were injured and killed! It is obvious that public street light safety is not a priority to this city, nor is there any urgency on the city’s part to test the area for more contact voltage issues. I suppose it will take the death of a child, an adult for the city to take immediate action to check for more contact voltage problems, make the necessary repairs to ensure that streets and sidewalks are safe for people and pets of Montreal. This is not acceptable! Kelly, I am truly sorry for your loss, my heart aches for you. Sadly, we share similar experiences; watching our beloved dogs die under extremely tragic circumstances, missing and wanting them back and having to deal with a city that is apathetic and not proactive in addressing this important issue of public safety. In the beginning, the City of Seattle/SCL treated Sammy’s death as an “isolated incident”, a “freak accident”. I didn’t believe it, I knew there could be more contact voltage problems that existed (with the help of Mr. Roger Lane, www.strayvoltagenyc.org) I pressed on, the public put pressure on our city…I urge you to do the same. After Sam’s death, SCL tested all the metal streetlights in its service area and found that 158 of them gave off dangerous levels of electricity. SCL now conducts annual routine contact voltage testing. Street light safety should be treated with the greatest and utmost importance. No one should have to suffer the way Sam and Lily did. Their deaths were preventable. I just received this comment from a viewer and would like to share it here. Coincidentally, when I received this comment, I, too, had been crying…..missing my beloved dog Sam. “Hi, Lisa, I’m crying again for your loss as I leave this message. Thank you for your work to get Seattle City Light to do yearly testing. Sammy is proud. Looks like Snohomish PUD is trying to dodge the issue now. That would be my well informed and angry comment here”. 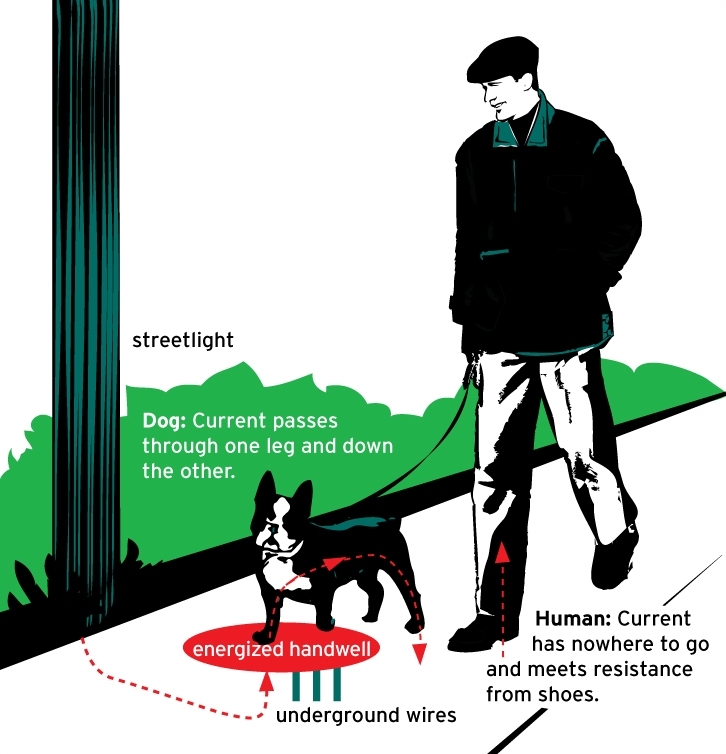 Yesterday I had heard about another electric shock incident involving a dog in a nearby Seattle town, Mountlake Terrace. As I learned of this news, I became outraged, sick to my stomach, tears in my eyes, it was too familar…. almost as if I were re-living a part of a similar and horrible experience just over one year ago. First, my heart goes out to the owners and their dog. I am very sorry to hear of this and thank god that the owner and dog survived. I hope they are all doing all right from this horrific experience. The responses from the city and PUD, “The pole was installed in 2004 by the PUD and is owned and operated by the city. Sometimes when different agencies play a role in installing and operating a light pole, errors occur. It’s unclear if anyone worked on the pole after it was installed, which could have led to the error” are completely and totally unacceptable to me. This is another example of a government-run utility company passing the buck, not accepting responsibility, lack of proper record keeping and making excuses for their “errors”. Don’t they understand that these “errors” could be fatal, pose serious danger to the public? The article goes on to say that city officials are “considering” contact voltage testing program. What’s to consider? Is it going to take a death, perhaps a child, adult, someone’s beloved pet for them to realize the seriousness of this issue and take appropriate action to prevent such tragedies? Contact voltage kills! Shouldn’t their number one goal be public safety? The answer is YES. They must invest in public street light safety by implementing a routine testing program and have proper safety procedures in place at all times. This also includes working with other agencies, any and all work must be inspected, documented, and checked properly and regularly to ensure the public is SAFE. Take it from me and learn from the City of Seattle–regular contact voltage testing saves lives! R.I.P my Sammy, I miss and love you so much. We continue to fight for street light safety. El Dia de los Muertos, The Day of the Dead is an annual tradition and celebration in which loved ones who have passed away are honored, remembered and celebrated on this day of November 1st. 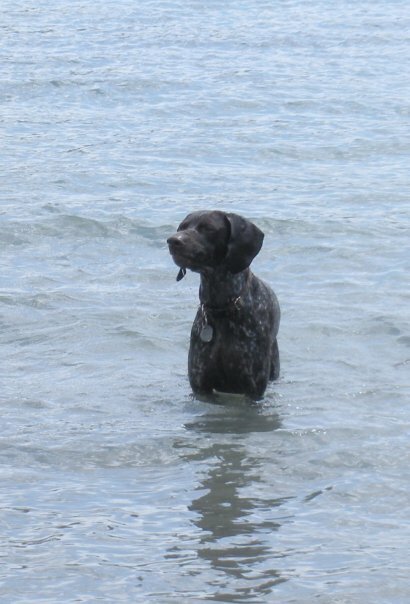 I would like to honor my dog Sam who was and still is, so very special to me. He passed away Thanksgiving Day, November 25, 2010. Sam will live in my heart forever. Not a day goes by that I don’t miss, think and dream about him. What I miss most about him is his unconditional sweetness, he was so lovable, always happy, he could never get enough cuddles, always wanting more and I could never resist him. I loved to shower him hugs and kissies. I miss his loveliness, he was beautiful in every way, he always made me laugh with his goofy personality. Sammy made us all smile. What I remember most is all of our amazing hiking trips we took together, the best of times we shared. There are so many wonderful memories I have of him, I will always remember and love him forever. R.I.P. Sammy, sweet boy you are. My heart goes out to the families of two dogs electrocuted this past week. Dusty, another sweet lovable canine, electrocuted last week from a live power line knocked down due to storm damage in Poconos, DE. Reading the details of his death brings tears to my eyes and memories resurface. “It was something that shouldn’t have happened,” said Delaware Water Gap Assistant Fire Chief John Smith. He’s right. This should NEVER happen……but it does. Please remember to keep you and your pet away from downed power lines, especially when water is present in all situations including construction sites,lamp posts, street lights, manhole covers, etc. Contact voltage KILLS! It is a hidden danger, please be aware of your surroundings and practice safety when walking all streets and sidewalks. Another dog electrocuted this past week in Norwalk, CT.